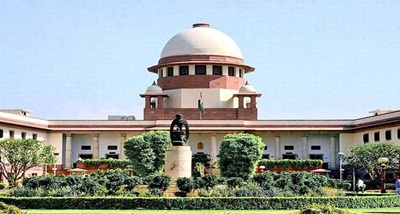 Supreme Court on Thursday adjourned the hearing to next Wednesday on CBI director Alok Verma's plea challenging the government's order divesting him of his duties and sending him on leave in view of graft allegations against him. The Apex Court said it would first consider whether the government has the power to divest the CBI director of his duties under whatever circumstances or whether the selection committee headed by the prime minister must be approached before moving against Verma on corruption allegations. The court took this stand after making it clear that for now it was not going into the allegations and counter-allegations involving Verma and CBI's No.2 officer and Special Director R K Asthana. Both of them have been stripped of their powers and sent on forced leave following their bitter feud. Verma's two-year tenure ends on January 31 next. A bench of Chief Justice Ranjan Gogoi and Justices Sanjay Kishan Kaul and K M Joseph also deferred hearing on the report of the CVC probe for a later stage. The report found that some charges against Verma needed further investigations.